process of opening the Federal Copper Company. By 1912, however, the smelter was closed and demolished. Shortly thereafter, four of the five parcels of land originally owned by the smelter were purchased to build what many considered to be El Paso’s first suburban neighborhood. The first house was built in 1914, with many more to follow, representing Spanish, Georgian, and Moderne architectural styling of the times. 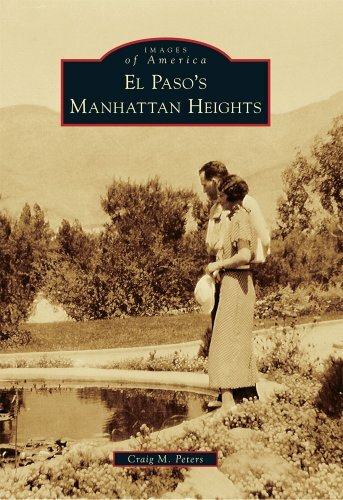 With the construction of Manhattan Heights School and Veterans Memorial Park, the small district covering 1,910 acres attracted many of El Paso’s prominent citizens.